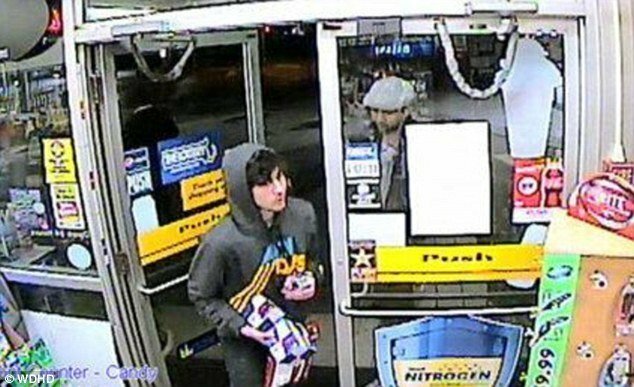 Home Tags Posts tagged with "surveillance footage"
A Boston Marathon bombing suspect has been arrested and it is believed he will soon be brought to court after a “dark-skinned male” was identified from two separate videos provided to the FBI. 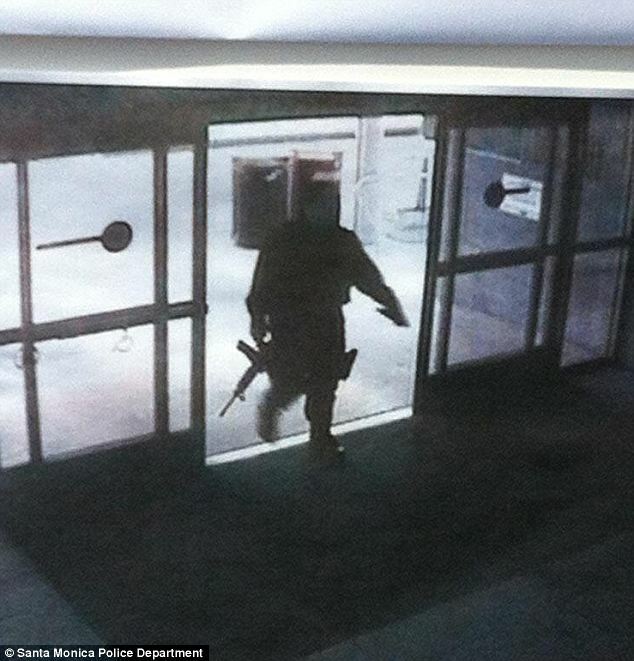 This afternoon, the FBI announced there had been “substantial progress” in the investigation after they analyzed surveillance footage from the Lord and Taylor department store and revealed it showed the person planting the second bomb. Using that video – and local news footage – authorities were able to get exactly what they have been looking for – someone coming in and dropping a package in a black bag before quickly walking away again. It is as yet unclear whether a suspect has been located and apprehended or just identified. 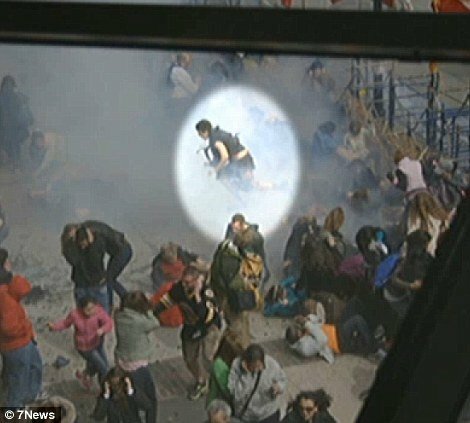 It also emerged today that the force of the first blast at the marathon was so strong, the lid of the pressure cooker bomb was found on the sixth-floor roof of a hotel 35 yards away from the explosion site and is now a vital clue in the investigation. A guest at the Charlesmark Hotel discovered the crucial piece of evidence just minutes after the blast. He picked up the twisted metal – believing it was a hubcap from a vehicle damaged in the bomb – and gave it to a policeman. Twenty-four hours later he was quizzed by FBI agents, who revealed the mangled metal was one of biggest clues so far in the search for the terrorists who killed three and injured 183 others. Hotel owner Mark Hagopian said: “One of the guests had been up on the roof earlier in the day. Immediately after the blast he went back up there and spotted what he thought was a hub cap. “As it hadn’t been there earlier he thought it could have come from a damaged car, so he picked it up and took it downstairs. “He handed it to a policeman and thought nothing more of it until the FBI contacted him and hotel manager Curt Butcher on Tuesday evening. Mark Hogopian, 50, was hosting a marathon party for 100 people when the first bomb exploded on Monday afternoon. As guests rushed outside the see what was happening, the second bomb went off just yards from the hotel’s outdoor patio. “We were knocked off our feet by the blast and all around us there were bodies – seven or eight people missing limbs” Mark Hogopian said. “There was blood splayed everywhere. It was utter chaos. “One of the fourth-floor guests went up to the roof to see if he could see what was happening. That’s when he found what he thought was the hubcap. “He handed it to the cop as everyone was being evacuated – at the time it was feared there were more bombs set to go off. “Now it turns out that piece of metal is a big piece of the evidence. Apparently, forensics should be able to get many more clues from that. 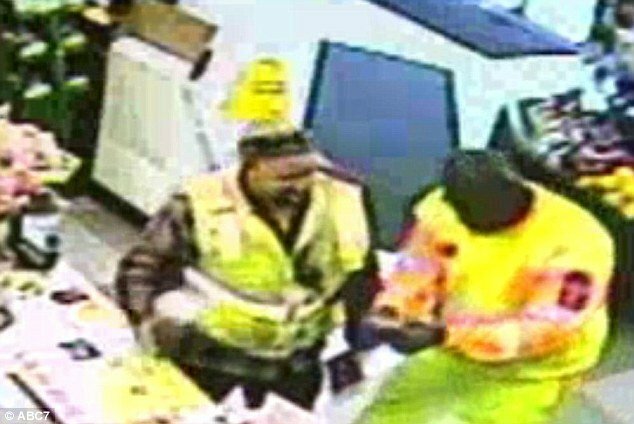 Surveillance footage taken at a gas station in Prince George’s County, Maryland, reportedly shows the moment a Powerball player discovered he had one of the two winning tickets in the $588 million jackpot. The video shows a construction or highway worker walking into an Exxon in Prince George’s County and checking his ticket, before punching his fists in celebration. Two tickets bore the winning numbers in Wednesday night’s draw and while Mark and Cindy Hill, from Dearborn, Missouri, have been identified as the winners of one, the other winner has not yet stepped forward. Lottery officials announced the ticket was bought at a 4 Sons Food Store in Fountain Hills, Arizona. The man in the Maryland store footage told fellow customers that he had bought the ticket 2,500 away in Arizona, ABC 7 reported. After walking nonchalantly into the store, he is seen digging into his pockets and pulling out his tickets, which he then checks by the register. The man, who is dressed in a neon yellow jacket, shakes the paper in disbelief as he matches up the numbers before handing the ticket to the clerk, who tells him the numbers are correct. He rushes over to other customers to ask them to check and they, too, say he has won. “And then he said, <<I got to get out of here>>,” employee Freddie Lopez told WJLA. Witnesses told the channels that the man lives in Maryland, and one customer told WJLA that he heard the man may be in the military. If he is the lucky ticket holder, he has 180 days to return to Arizona to collect the prize. Karen Bach, the director of budget, product and communication for the Arizona Lottery, said she is not surprised that the winner has not come forward yet. “I think that it is important for the winner to be thoughtful and make some plans and then come in and celebrate,” she said.